I’ve never really been a Chick Flick kind of girl. I want a movie that’s either going to make me laugh or one that’s going to make me think. Now, that’s not to say I’ve never watched these sappy lovey dovey movies, though. They just aren’t usually my preference. To me, they’re all the same, which means the ending is predictable. I feel like they sometimes lack in substance. I can see it now. Two main characters who love each other are standing in the rain on a cool night. His hands are clasped around hers as he holds them firmly against his chest. “We love each other, and that’s all that matters,” he says to her through tears that blend in and wash away with the pouring rain. For whatever reason, they are struggling. Maybe their love is forbidden, or maybe they lost everything in a fire. Who knows? Whatever it is, they struggle, and at times it appears they might not end up together, but in the end the guy always gets the girl and vice versa; predictable. Usually in these movies, there is some kind of outside force that causes them to be apart: another person, a circumstance, a job . . . but what if it’s something that hasn’t been written in the scripts? What if the outside force is God? How do you think this movie should end? There’s a man and a woman who had been walking different paths from one another. Through their lives, their paths crossed several times, but they had never even spoken to one another. As adults, their paths cross again, and they form a friendship that eventually turns into more. Before they know it, they have found a truly unconditional love for one another, something powerful and wonderful and unlike any love either have felt before. Of course, there are circumstances that make this love be one to raise eyebrows. There are several things in their lives that simply don’t fit well together, but that love between them can’t be ignored. After dating for quite a while, the man starts hearing God’s voice telling him the relationship isn’t right for either of them and that she isn’t the person he designed for this man. He didn’t want to hear it, though, so he continued to push the voice aside as they continued to date and grow their love even stronger. The man can’t imagine giving up the love he has or the way everything feels perfect when he is with her. However, he makes mention of the hint of doubt every so often. “I’m scared we aren’t supposed to be together. I feel like God is telling me that, but I don’t want to let go,” he would say to her. That response is enough for the man to stay in the relationship because it makes complete sense to him. He even goes to God with that question. He still feels like God is telling him it’s not right. At one point, the man can no longer shut it out. He knows God is clearly telling him they were not designed for one another, and he knows the longer they stay together, the more hurt they will feel when it doesn’t work out. He pleads with God because he doesn’t want to give up this love. He just knows he won’t ever find anything like it again.
. . . How should the movie end? Believe it or not, this storyline happens more than you might realize. Some people say it’s their conscience, some say it’s a voice in their head, some say it’s intuition, but often people hear God’s voice telling them if they’re not following his plan. If you ever get to the point where you know you are not supposed to be in a relationship, and especially if there are several reasons you can think of as to why it’s not right, then really look at the big picture. Yes, it’s hard to give up something that feels so perfect and right, but if your creator is telling you the relationship is not with the person he designed for you, then what takes precedence? Think about it. If the one who created you says you are with a person he didn’t create for you, yet it feels so perfect, then you better get ready because it’s nothing compared to what will happen when you form a relationship with the one he did create for you! “But if both of us love each other and want to be together then I don’t see how that can possibly be wrong.” Have you heard that before, or is that a thought that maybe crossed your mind? Let me tell you about Skittles. 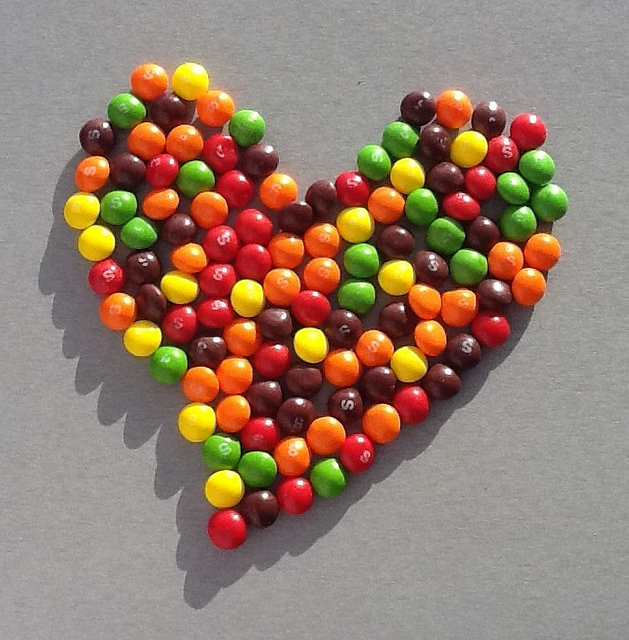 I love Skittles, especially the sour ones. They are the best thing to happen to candy in my opinion, but you know what? I can love them so much that I want to eat only Skittles for every snack and every meal for the rest of my life. Does that make it right, though? Absolutely not. God didn’t design Skittles to be my only source of nutrition. He has a much broader perspective than I have. He knows what’s ahead if I go only to Skittles for every meal. He created something different for me, and if I continue to make these candies my only source of nutrition, I will eventually be hurting. Even more, it’s my belief that if I knowingly go against what God designed for me, my consequences will be even greater than what they would be otherwise. My point is that in relationships some people settle for whatever reason and end up in a relationship where love doesn’t exist. But what about those who settle for love even when they know God is trying to steer them in a different direction? Don’t settle for love just because it’s there. The movies have shown us that love is this magical butterfly heart flutter and the one and only thing that matters, and that with it you will live happily ever after. Three things will last forever—faith, hope, and love—and the greatest of these is love (1 Corinthians 13:13). Love is the greatest thing in a relationship. However, what is love really? Is it a euphoric feeling one gets when someone in particular walks into the room? According to the dictionary this is pretty much what love is, but I choose not to base my knowledge solely on a man-made book of words. I believe the bible is the God-breathed living word that is the only written absolute truth. The bible says But anyone who does not love does not know God, for God is love (1 John 4:8). God is love. Period. End of story. If God is telling you the person you are “in love” with is not the person he designed for you to be with, then do you really think what you’re feeling is love? You can’t have love without God, and God is not in the middle of a wrong relationship. Therefore, it is not love you feel for the other person. It’s a really good feeling that will fade at some point.